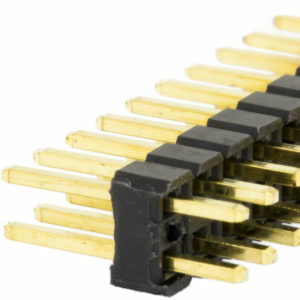 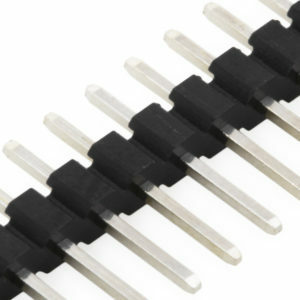 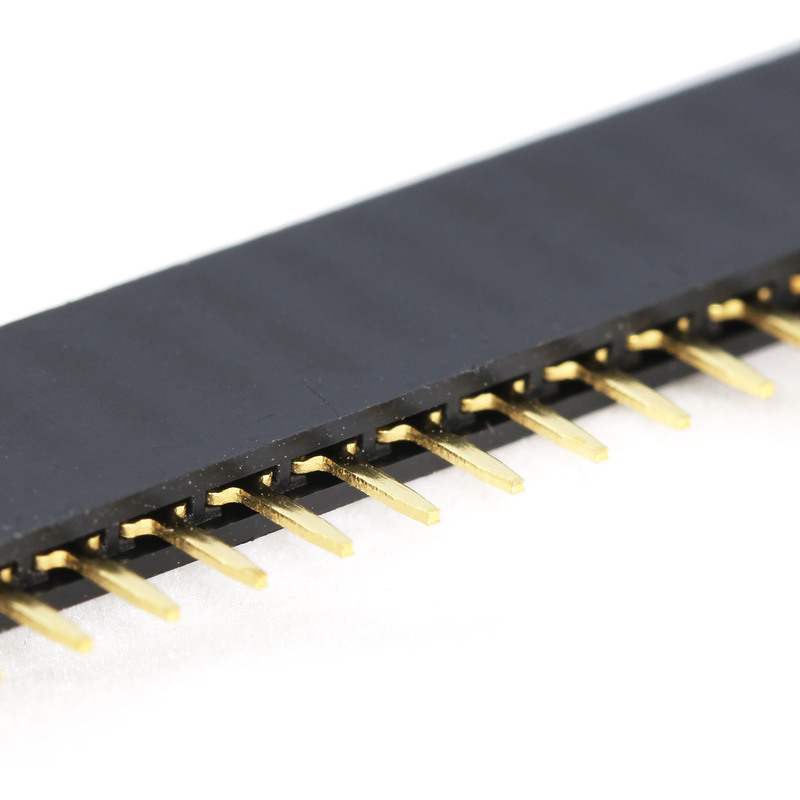 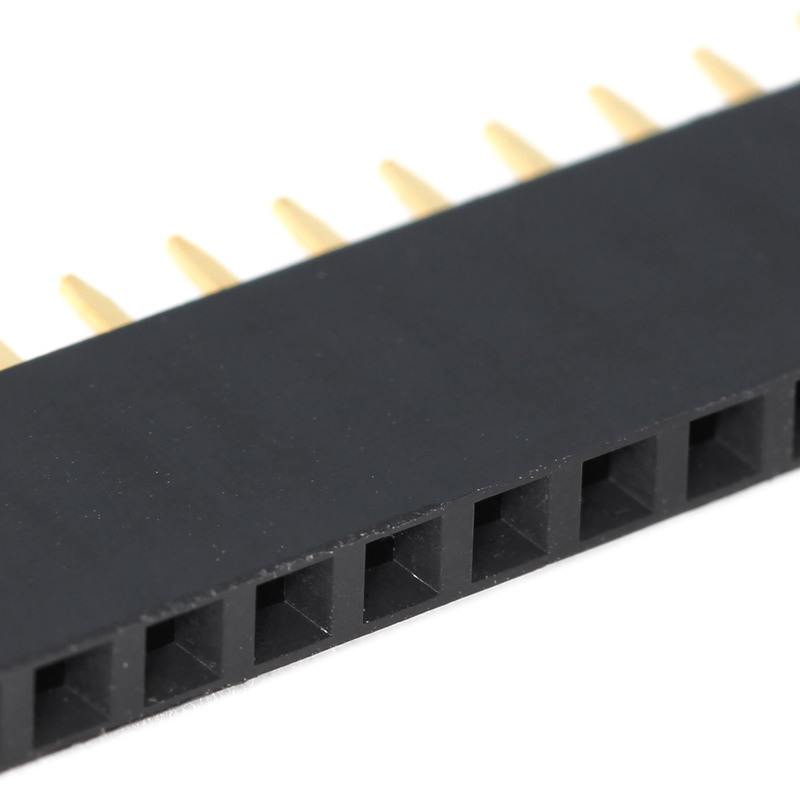 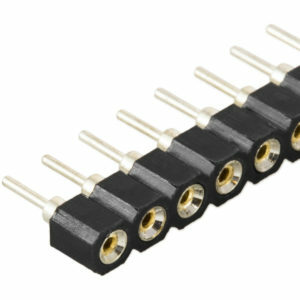 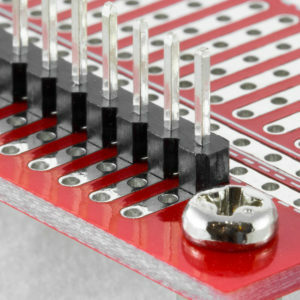 Single row, 40 pin female headers with a 2.54mm connector pitch. 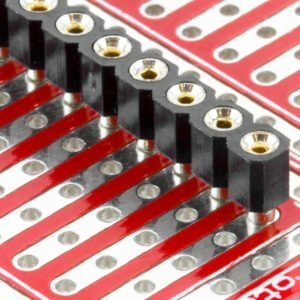 While not exactly snappable they can be cut to smaller sizes by cutting on a pin with a pair of side cutters (sacrificing the pin being cut). 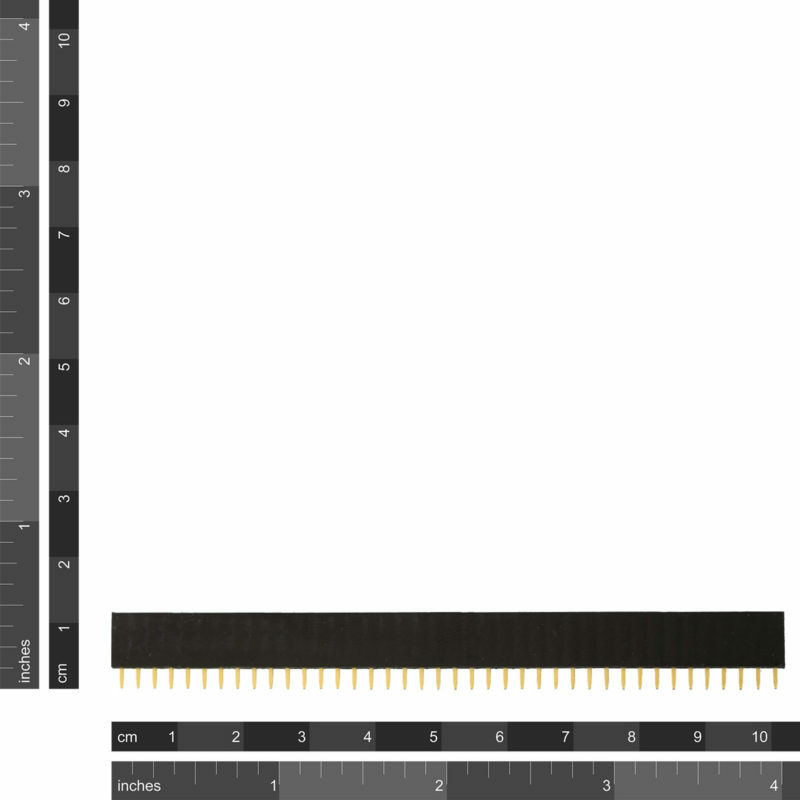 This is shown in one of the photos above. 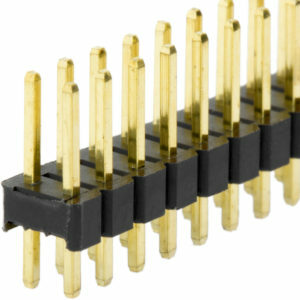 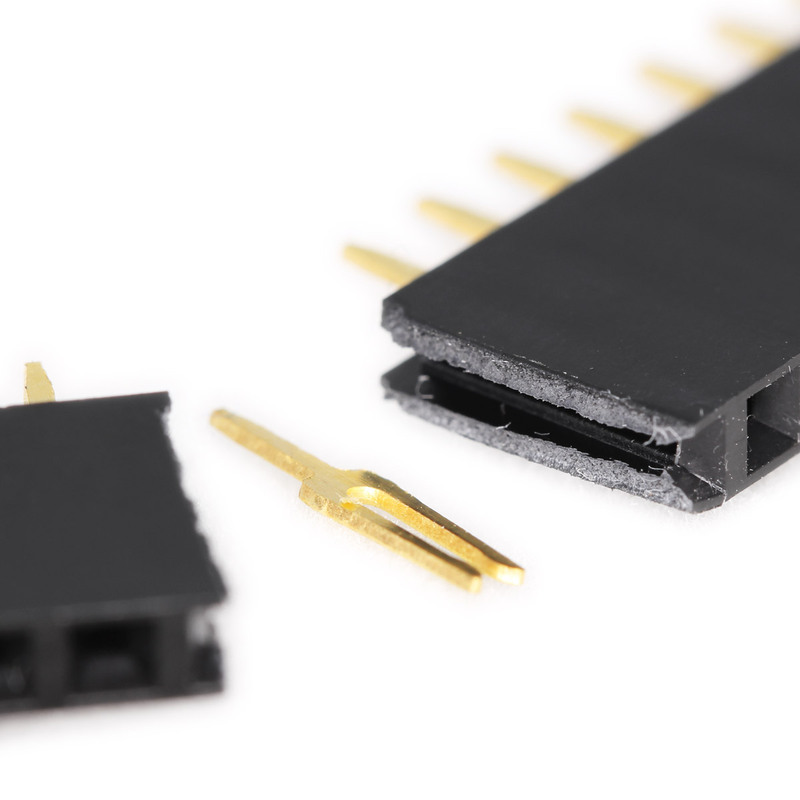 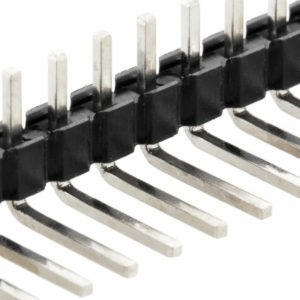 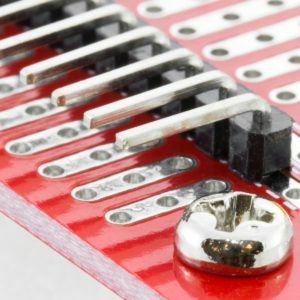 They can be used with many different types of connectors including 40 pin 2.54mm snappable single row header and 300mm Male to Male Jumpers.